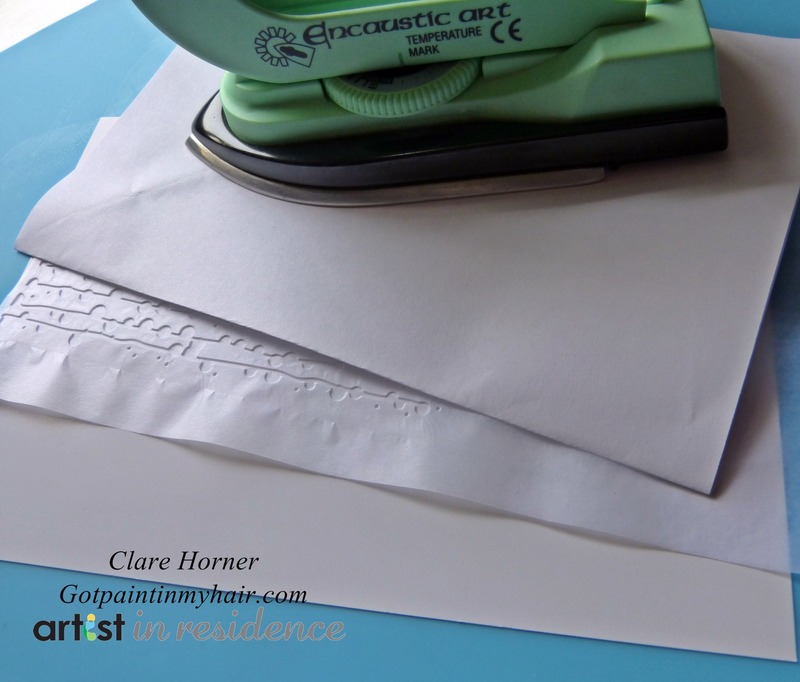 1: Cut 2 pieces of waxed paper slightly larger than the embossing folder. Place both in the folder and emboss together. Carefully separate once embossed. 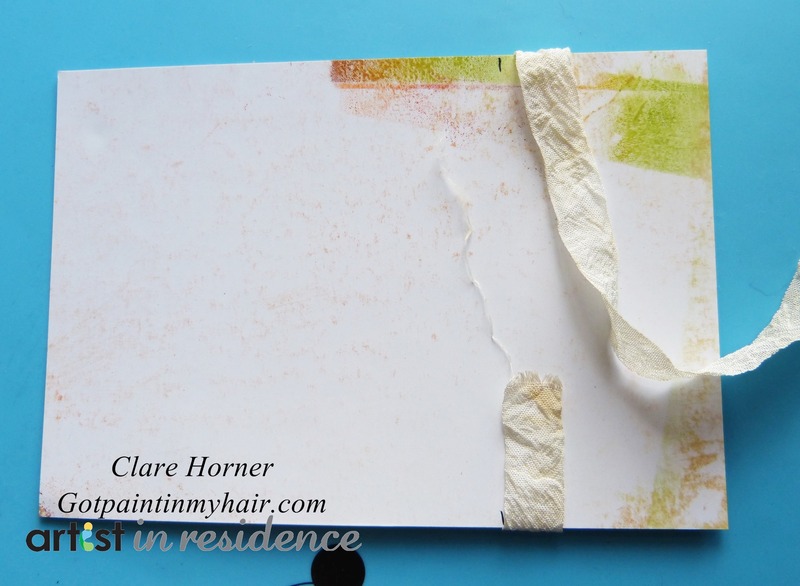 2: Place one piece of embossed wax paper on top of the encaustic art card, place a piece of scrap paper on top and iron until you can see the pattern through the scrap paper. 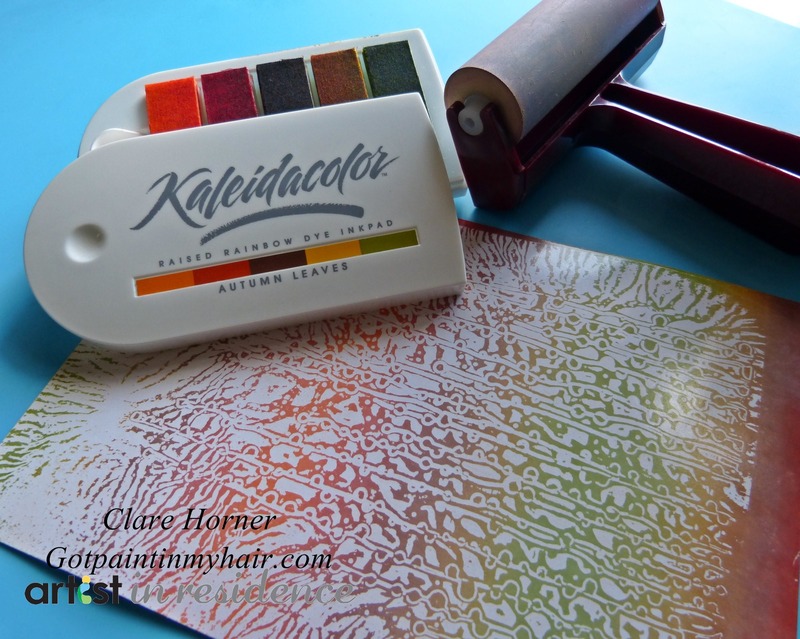 3: Brayer the Kaleidacolor ink all over the encaustic art card. Polish off excess ink with a clean tissue, wipe with a babywipe to bring back the pure white and mute the ink colour. Ignore babywipe step for a more vibrant background. 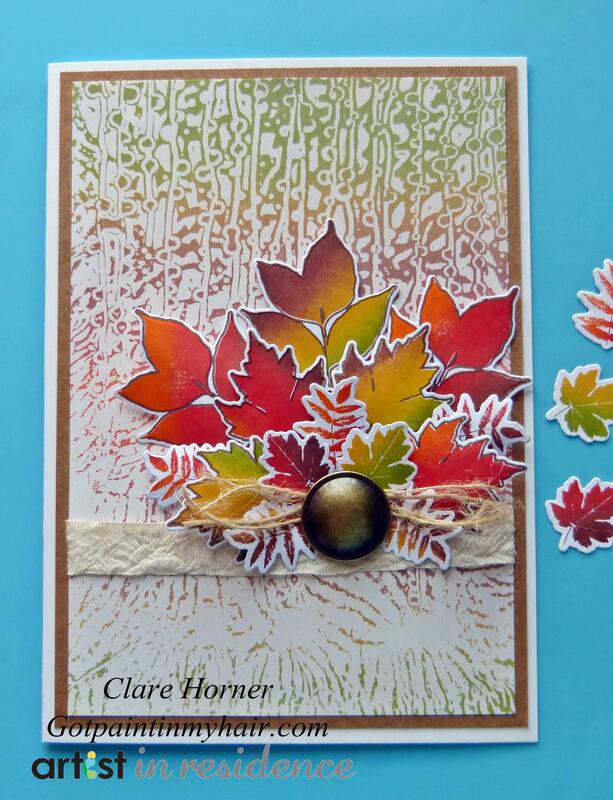 4: Stamp the leaves with the Kaleidacolor ink and die cut out 4 each of the large leaves and 6 each of the smaller ones from the stamp set. Stamp the outline of the large leaves in Versafine. 5: Cut the kraft piece of kard to 4 3/4 X 6 3/4inch. Cut the brayerd background you made to 4 1/2 X 6 1/2inch. Adhere the craft card to the card base. 6: Wet and crumple the rayon ribbon, once dry adhere to the brayered piece of card 2inch from the bottom of the piece. Adhere the brayered piece to the card base on top of the kraft piece of card. 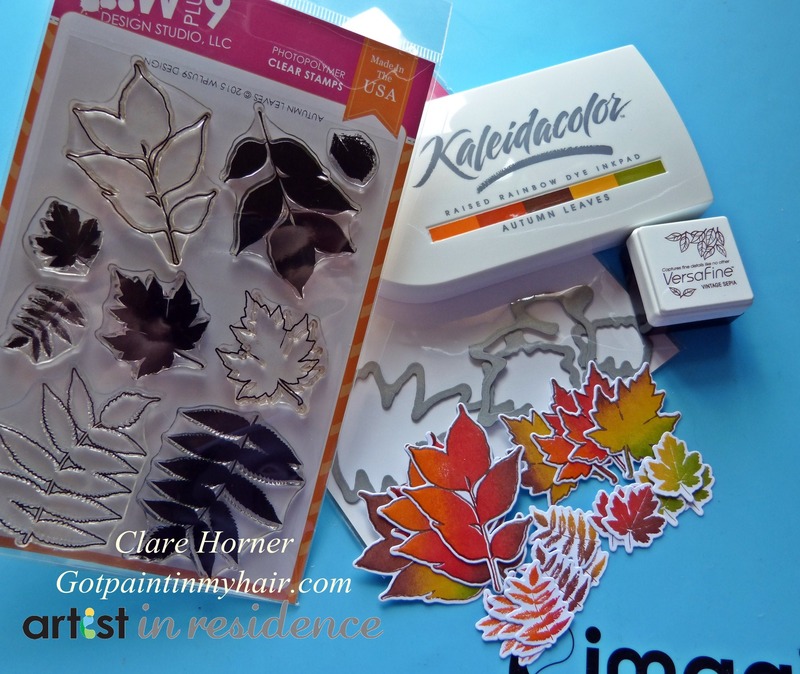 7: Bend the leaves with your fingers and adhere in a pleasing manner with 3d glue gel. Attach twine and decorative button to top. 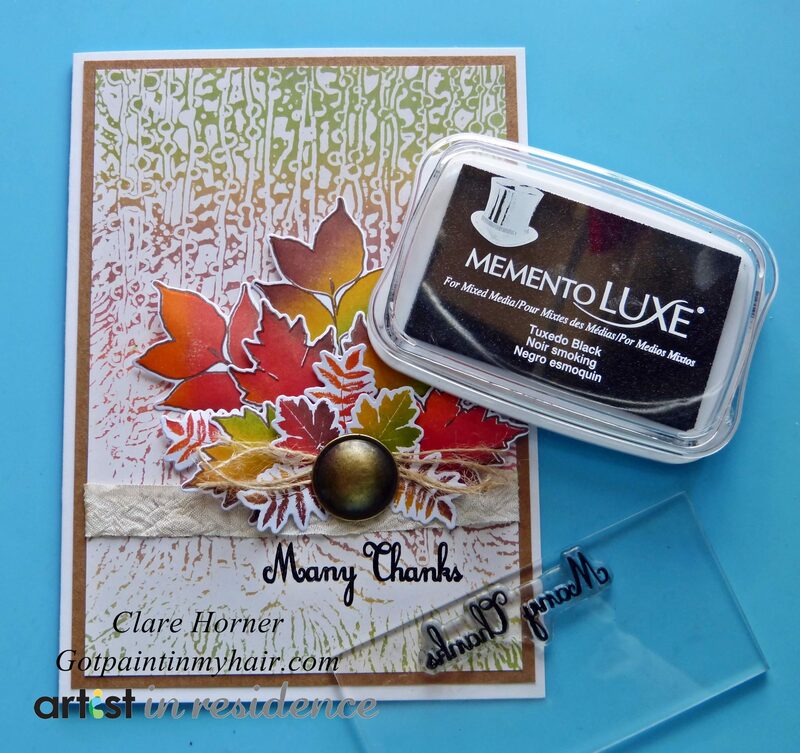 8: Carefully stamp the sentiment in MementoLuxe, this may slide on the shiny paper, if so wipe off quickly with a baby wipe and repeat once dry. Clearly Besotted: Honeycomb stamp set. 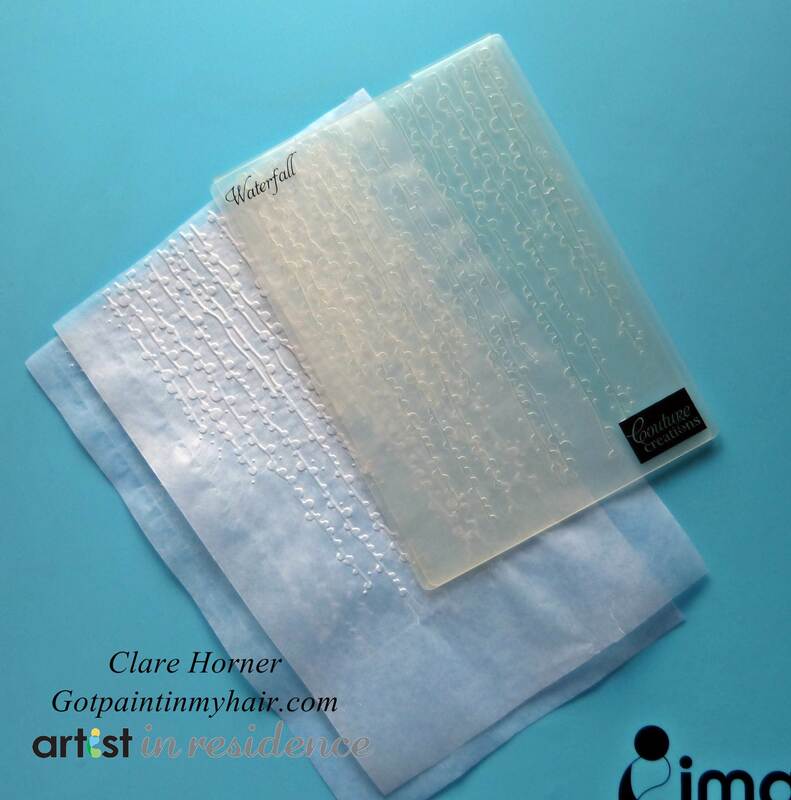 5X7 card base, craft card, white card, encaustic art heat resistant shiny card, waxed paper. 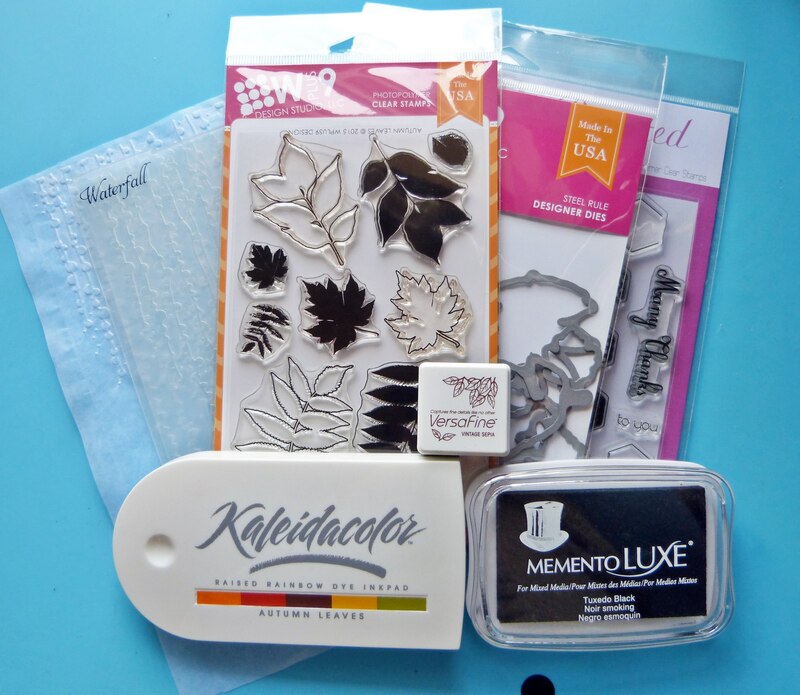 Paper trimmer, brayer, adhesive, 3d gel glue, iron.